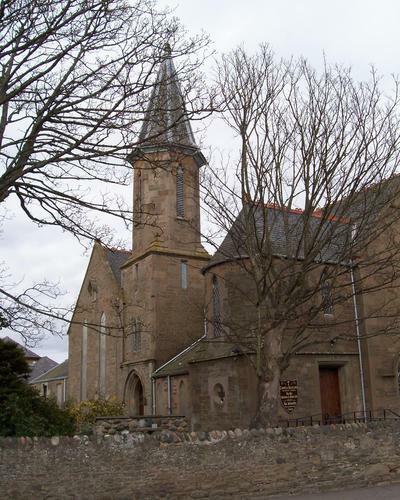 Part of the burgh of Carnoustie lies in the south-west corner of Panbride parish, the rest of the town being in Barry parish. General histories listed on the page for Books about Angus & Kincardineshire, in particular Warden, vol. 5, pp. 56-80. A family tree for the Carnegies of Balmachie. 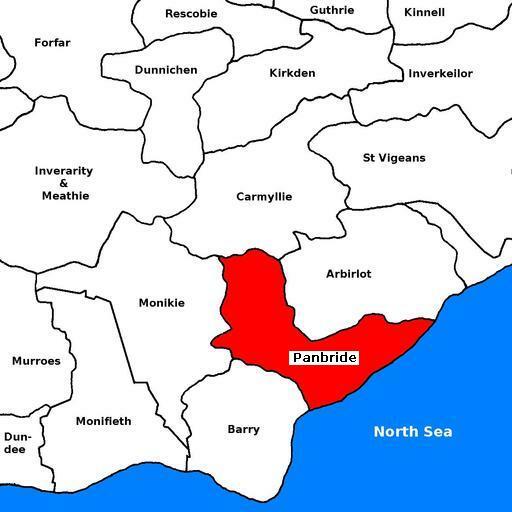 For the full range of maps of Panbride, see National Library's Maps. Geograph.org: Panbride - recent photographs of Panbride. National Grid ref. NO5735. Located at National Grid ref. NO572357. Built 1851. The mediaeval church was dedicated to St Bridget. 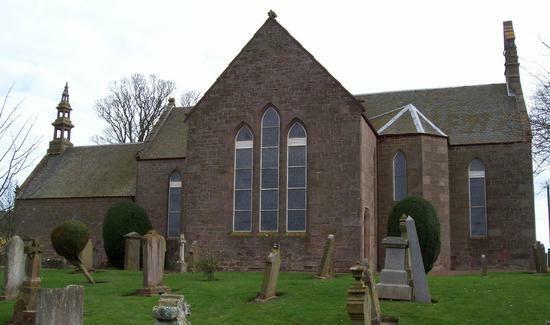 See Panbride Parish Church for further photographs of the church, including interior views. 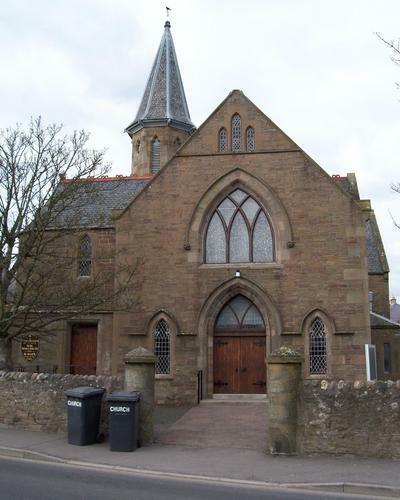 Above: former Free Kirk, built 1855, extended 1900, now Carnoustie Panbride Church of Scotland, in Arbroath Road, Carnoustie. 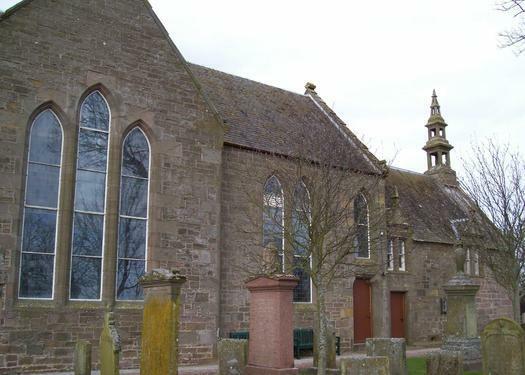 See Carnoustie Panbride Town Church for further photographs of the church, including interior views. 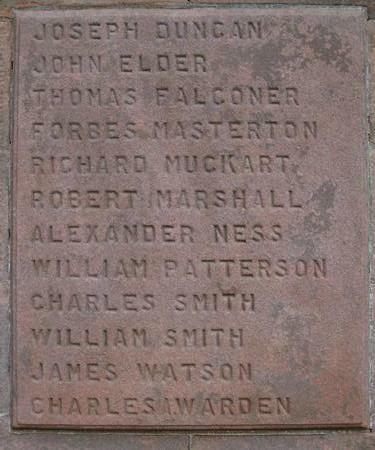 Located in parish kirkyard, north of the kirk. 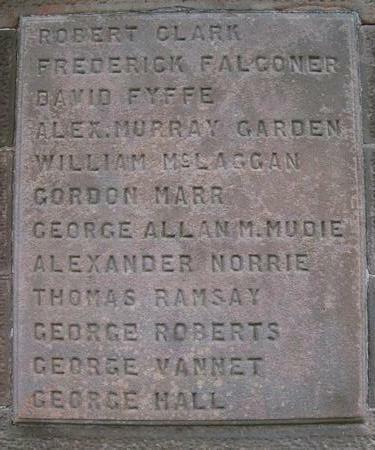 There is also a modern plaque on the memorial, with all 36 names. 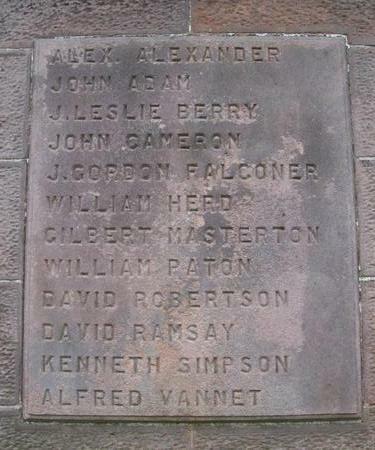 Panbride was in the Commissariot of Brechin.